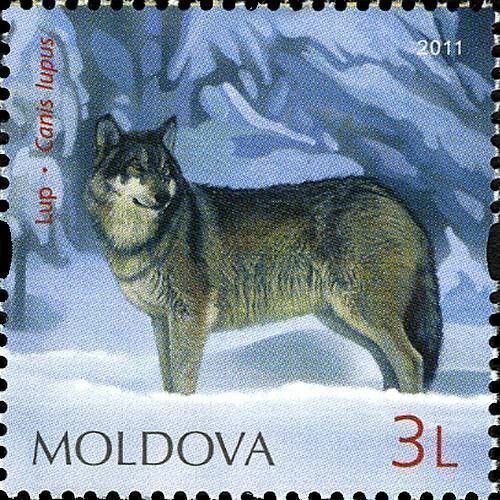 On 29 July 2011, the Post Office of Moldova (Poșta Moldovei) issued a series of postage stamps with the title The Red List of Moldova - Fauna. The issue comprises eight stamps, of which, four were on a souvenir sheet, with associated cancellation (postmark) and first day covers (FDC). The designer was Vladimir Melnic. The printing was performed by Tipografia Centrală, Chişinău. 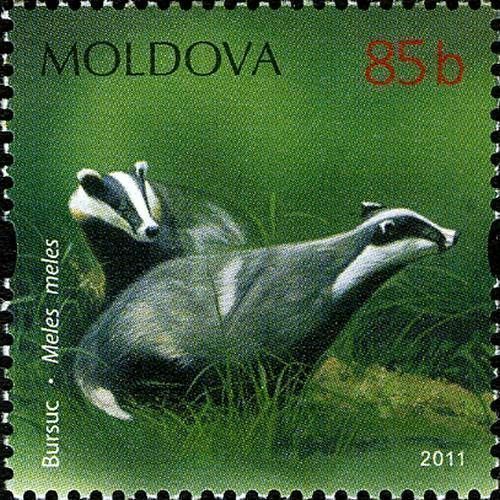 The European badger (Meles meles) is a species of badger in the family Mustelidae and is native to almost all of Europe and some parts of the Middle East. Several subspecies are recognised; the nominate subspecies (Meles meles meles) predominates over most of Europe. The European badger is classified as being of Least Concern by the IUCN as it has a wide range and a large population size which is stable, and even increasing in some areas. Read more.. This article uses material from the Wikipedia article 'European_badger', which is released under the Creative Commons Attribution-Share-Alike License 3.0. 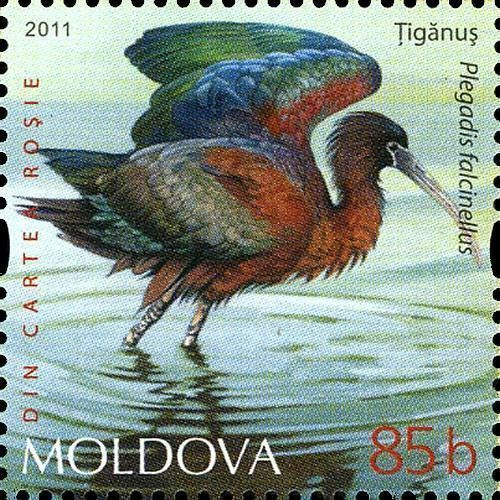 The Glossy Ibis (Plegadis falcinellus) is a wading bird in the ibis family Threskiornithidae. Read more.. This article uses material from the Wikipedia article 'Glossy_Ibis', which is released under the Creative Commons Attribution-Share-Alike License 3.0. 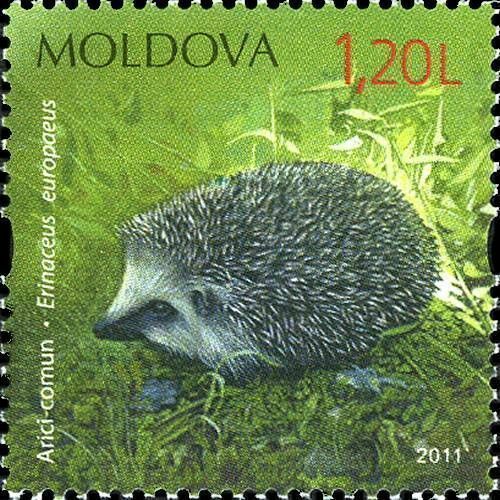 The European hedgehog (Erinaceus europaeus: Linnaeus, 1758), or common hedgehog is a hedgehog species found in western Europe, from Spain and Italy northwards into Scandinavia. It is a generally common and widely distributed species that can survive across a wide range of habitat types. It is also a well-known species, and is a favourite in European gardens, both for its endearing appearance and insectivorous habits. Whilst populations are currently stable across much of its range, it is thought to be declining severely in the UK. Read more.. This article uses material from the Wikipedia article 'European_hedgehog', which is released under the Creative Commons Attribution-Share-Alike License 3.0. Pelicans are a genus of large water birds comprising the family Pelecanidae. They are characterised by a long beak and large throat pouch used in catching prey and draining water from the scooped up contents before swallowing. They have predominantly pale plumage, the exceptions being the Brown and Peruvian Pelicans. The bills, pouches and bare facial skin of all species become brightly coloured before the breeding season. 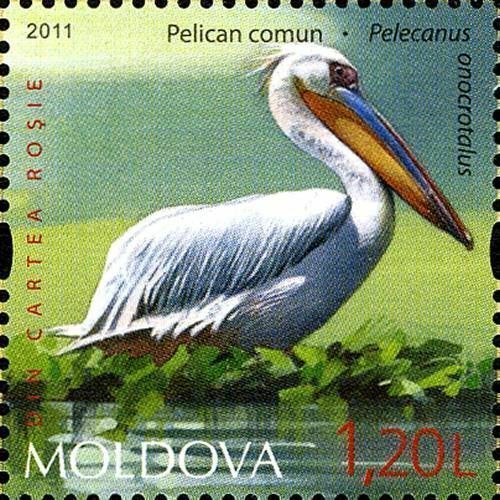 The eight living pelican species have a patchy global distribution, ranging latitudinally from the tropics to the temperate zone, though they are absent from interior South America as well as from polar regions and the open ocean. Fossil evidence of pelicans dates back at least 30 million years, to the remains of a beak very similar to that of modern species recovered from Oligocene strata in France. Read more.. This article uses material from the Wikipedia article 'Pelican', which is released under the Creative Commons Attribution-Share-Alike License 3.0. The gray wolf or grey wolf (Canis lupus) is a canid native to the wilderness and remote areas of North America, Eurasia, and North Africa. It is the largest member of its family, with males averaging 43–45 kg (95–99 lb), and females 36–38.5 kg (79–85 lb). It is similar in general appearance and proportions to a German shepherd, or sled dog, but has a larger head, narrower chest, longer legs, straighter tail, and bigger paws. Its winter fur is long and bushy, and predominantly a mottled gray in colour, although nearly pure white, red, or brown to black also occur. Read more.. This article uses material from the Wikipedia article 'Gray_wolf', which is released under the Creative Commons Attribution-Share-Alike License 3.0. 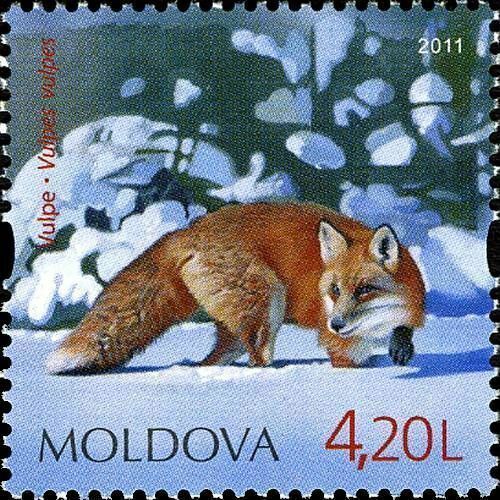 The red fox (Vulpes vulpes) is the largest of the true foxes and the most geographically spread member of the Carnivora, being distributed across the entire Northern Hemisphere from the Arctic Circle to North Africa, Central America and Asia. Its range has increased alongside human expansion, having been introduced to Australia, where it is considered harmful to native mammal and bird populations. Because of these factors, it is listed as Least Concern for extinction by the IUCN. Due to its presence in Australia, it is included among the IUCN's list of the 'world's 100 worst invasive species'. Read more.. This article uses material from the Wikipedia article 'Red_fox', which is released under the Creative Commons Attribution-Share-Alike License 3.0. The Eurasian Spoonbill or Common Spoonbill (Platalea leucorodia) is a wading bird of the ibis and spoonbill family Threskiornithidae. Read more.. 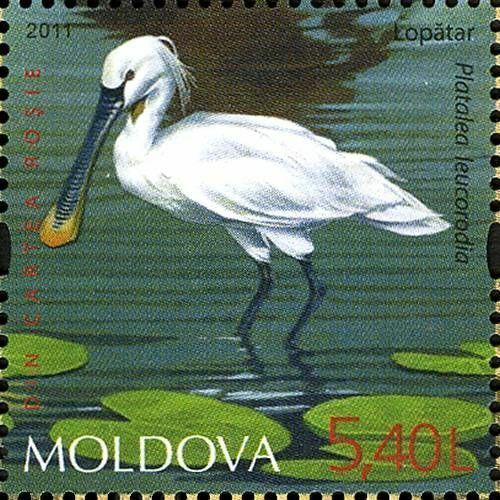 This article uses material from the Wikipedia article 'Eurasian_Spoonbill', which is released under the Creative Commons Attribution-Share-Alike License 3.0. 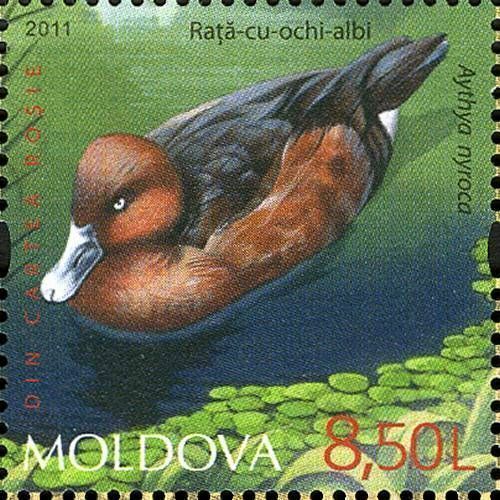 The Ferruginous Duck, also Ferruginous Pochard (Aythya nyroca) is a medium-sized diving duck from Eurasia. The species is known colloquially by birders as 'Fudge Duck'. Read more.. This article uses material from the Wikipedia article 'Ferruginous_Duck', which is released under the Creative Commons Attribution-Share-Alike License 3.0.